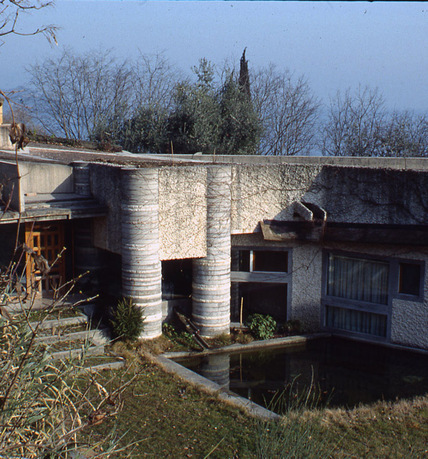 Carlo Scarpa, Gipsoteca Canoviana, 1957, Possagno, Italy. Photo: Francesco Dal Co.
As the definitive book on Carlo Scarpa (1906–1978), this important study surveys the wide-ranging body of his architecture and design work, including buildings, works in glass, and exhibition designs. After graduating with a degree in architectural design, Scarpa began his multi-faceted career with an apprenticeship at the Murano glass factory, Cappellin & Co., while simultaneously embarking on his first architectural commissions. 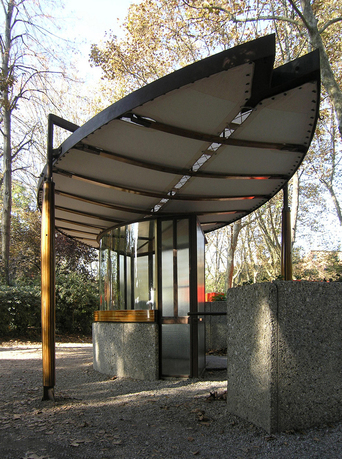 His commitment to craftsmanship and his evolving modernist style, which engaged in dialogue with his contemporaries, including Frank Lloyd Wright and Louis Kahn, is exemplified by buildings ranging from the small Olivetti Showroom in Piazza San Marco, to the monumental Brion Tomb, outside of Treviso. 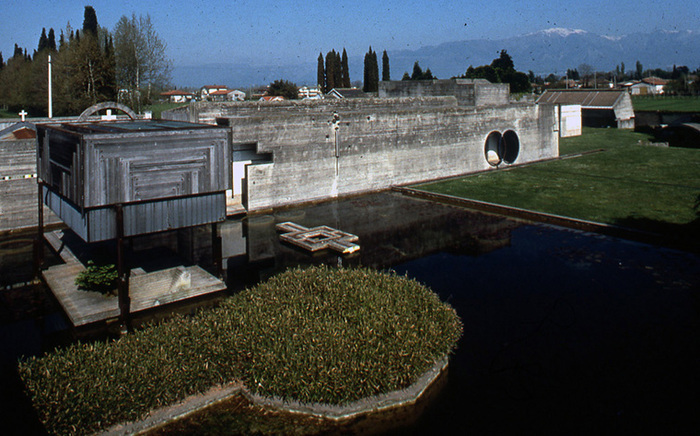 Although Scarpa's work is concentrated in the Veneto region of Italy, it has become increasingly influential on the world stage. This sensitive account will be instrumental in correcting many long-held assumptions about Scarpa's work while illustrating how and why his designs continue to inspire. Francesco Dal Co is professor in the history of architecture at the Istituto Universitario di Architettura Venezia (IUAV), and director of the architecture magazine Casabella, a position he has held since 1996. 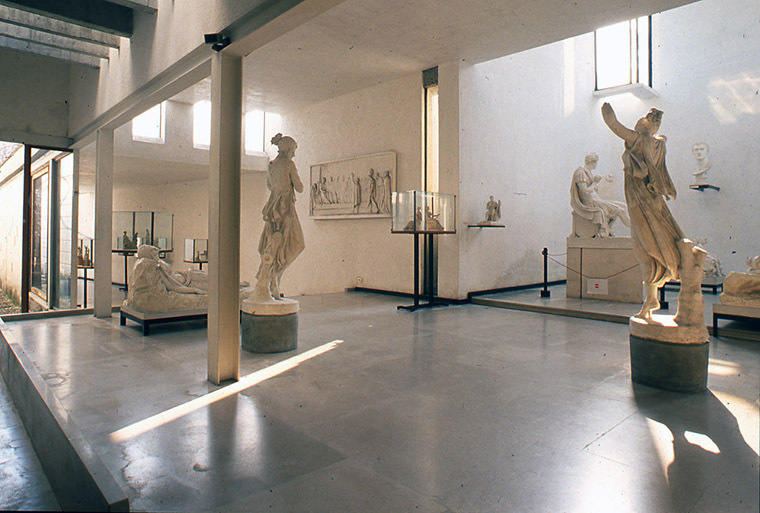 Dal Co served as the director of the Venice Biennale from 1988 to 1991, and curator of the Italian Pavilion in 1998. His many publications include Modern Architecture (with Manfredo Tafuri) and Figures of Architecture and Thought. He has also curated a number of important exhibitions, including an exhibition on Carlo Scarpa (1984), and has edited volumes on architects, including Frank Gehry and Tadao Ando, as well as Electa's series on Italian architecture, Storia dell'architettura italiana. He has recently worked with Yale University Press to launch Great Architects/Great Buildings, a new series of small-format books devoted to iconic modern structures, and has authored inaugural volumes on the Centre Pompidou (2016) and the Guggenheim Museum (2017).